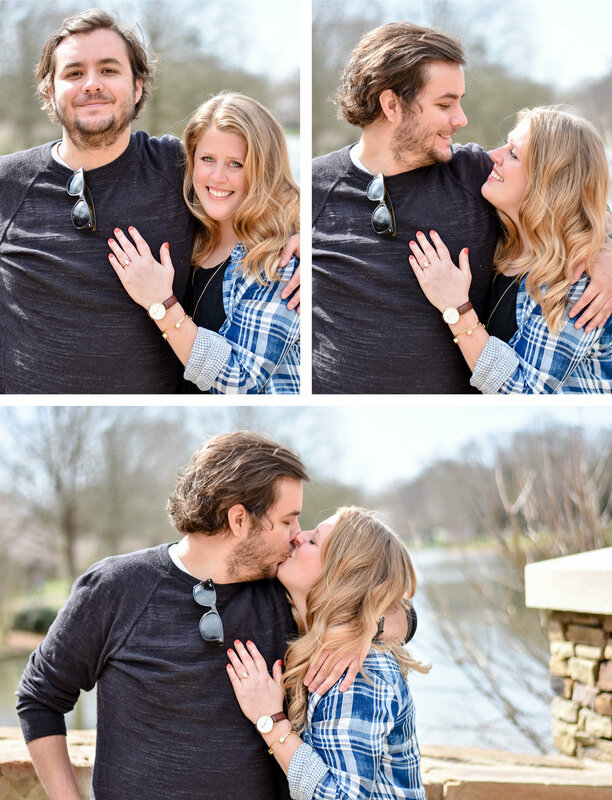 Nothing makes me happier than when a future groom coordinates to have a photographer capture the proposal. And since it was for one of my dearest friends, of course I jumped at the chance! I worked with Chris to nail down all the details - timing, location, and how he would get Lindsay to the "spot." Naturally, RIGHT when Lindsay and Chris were walking up the sidewalk to the bridge in Freedom Park, another couple started shooting their engagement pictures at the exact spot where Chris was planning to propose. Chris handled it well and tried to improvise by walking to a different spot past the bridge. Jokes on me - he started walking straight towards the tree where I was hiding with my camera!